Toronto folk artist Tony Dekker and his Great Lake Swimmers made a name for themselves recording songs laden with natural imagery in odd locations. Their previous album, 2009’s Lost Channels, was recorded on an archipelago of islands straddling the U.S.-Canadian border. 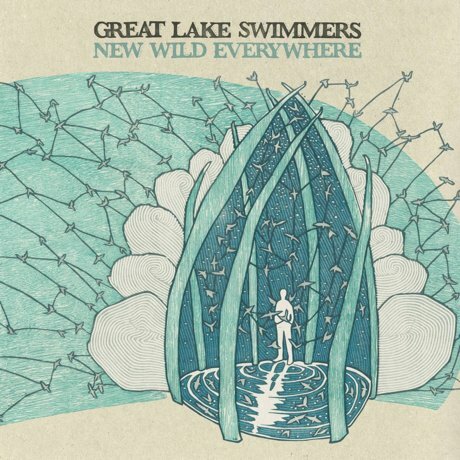 But for their fifth album in just shy of a decade, Great Lake Swimmers finally settled into a studio, and the result is their most mature and polished LP to date. Bouncing between draping strings and bluegrass fiddle, Dekker explores themes of love and change in his signature elemental style, and his choice of language lends a sense of timelessness to his songs. “Should have known / living in a storm / you’d act like thunder / and shift your form,” he sings on “The Knife,” deftly turning a feeling of betrayal into something much more grand. Dekker has a natural gift for getting to the heart of a song in a few concise lines, a gift he displays over and over on New Wild Everywhere, perhaps best on “Ballad of a Fisherman’s Wife,” his ode to families affected by the BP oil spill. “A lot of people are on the edge / found the edge a long time ago,” he sings, handily capturing the weariness of that beleaguered region in just a few words. The rest of the band carries Dekker along effortlessly, allowing him space and coloring their playing with country twang (“Changes with the Wind”), plucky Andrew Bird-esque strings (“The Knife”) and swinging New Orleans barroom piano (“Ballad of a Fisherman’s Wife”). For a band so accustomed to recording in odd places, the myriad of pieces of equipment available in a studio should have been easy to get carried away with. Fortunately, Dekker and Co. elected to use the same simplicity and restraint in the studio as they were forced by circumstances to use in their field recordings. The result is an ageless record filled with songs you’ll want to revisit for years to come.